Did Obama Say Enough on Health Care? 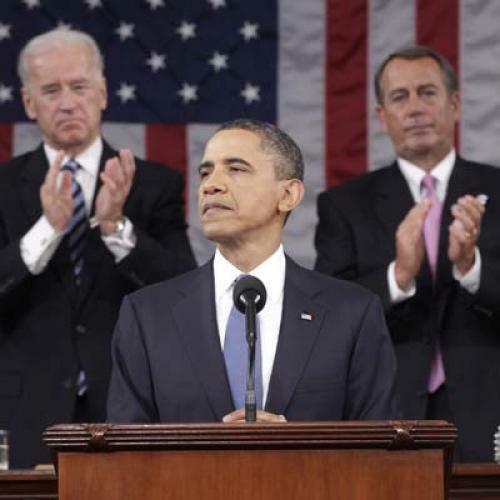 Did Obama say enough about health care reform last night? I suppose I'm one of the very few people who would even ask that question. Most Americans would probably think, "More health care? Lord no." And I think Obama and his speechwriters sensed as much. Although his defense of the Affordable Care Act was clear--he's not going to sign a bill repealing the law--it was also short. That portion of the speech was just two brief paragraphs, by my count. But short isn't the same as weak. Yes, Obama offered to "fix" the bill's flaws. But that's the sort of gesture he needs to make, in order to take the high ground when Republicans try to repeal the whole thing. More important, the bill really does have flaws that, if the subject of truly bipartisan efforts, could really be fixed. As I've said before, I'd be particularly interested in malpractice reform, assuming it's the kind of reform that actually improves patient safety rather than merely capping damage awards. (Yes, that's a big "if.") More generally, as Obama said, if Republicans are willing to make the bill stronger--by insuring more people, bolstering coverage further, or better controlling costs--then by all means they should get to work. But one of Obama's best arguments at this point is that the American people seem eager to move on. They may not love the current law and almost certainly want improvements. But they don't want to scrap the whole thing and, above all, they're not in the mood to litigate the big issues all over again. In surveys that Greenberg Quinlan Rosner conducted immediately after the speech, pollster Stanley Greenberg said Obama's line about getting on with other business was one of the most popular of the night. Keep in mind, too, that the brief mention isn't necessarily a signal of priority. In 2009, when Obama gave his first joint address, his job was to tell us what he wanted to do and, no less important, when he wanted to do it. In 2010, when Obama gave the State of the Union immediately after Scott Brown's election in Massachusetts, Obama's job was to tell us how he'd operate within new political constraints and, very specifically, what he intended to do about his embattled health care plan. Then, unlike now, his determination to fight for health care reform was very much in doubt. But last night's speech was, by design, more about a general posture for the next two years, in no small part because the loss of congressional control means he no longer has the ability to enact such an ambitious legislative agenda anyway. In that context, a strong defense of the Affordable Care Act, however short, seems more than adequate.